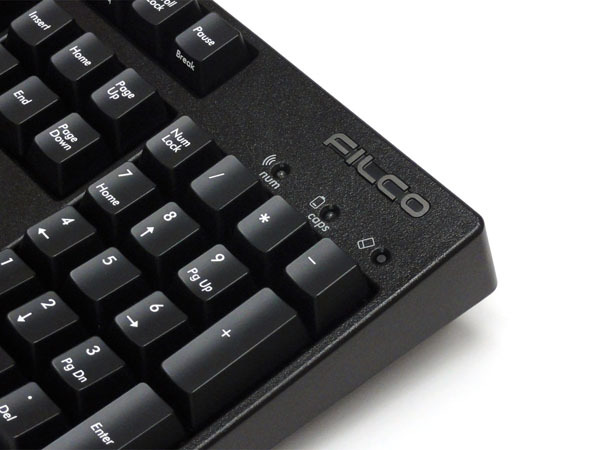 The Filco Convertible 2 is now in stock right here! Now available in UK, German and Swedish. A few years back, Diatec introduced a little-known keyboard called the Filco Majestouch Convertible for the Japanese market. The keyboard’s big feature was its ability to work in both wired and wireless modes, courtesy of Bluetooth and a standard USB plug. This week, Diatec has unveiled the Convertible 2, and this one won’t be a Japan exclusive – there’ll also be an American layout version with all four common Cherry MX switch colours. We’ll stock the keyboard in the weeks to come, but for now let’s take a look at the latest Filco. Like its predecessor, the Majestouch Convertible 2 can be used in two ways: wired, through a USB connection, or wireless, through a Bluetooth connection. It’s also possible to maintain a Bluetooth connection while the keyboard is connected via USB (so you can leave the keyboard plugged into your PC, while using it to type on your phone or other Bluetooth device). The Convertible 2 has a removable mini USB cable like the Filco MiniLa, which can be stored when the wired connection is not being used. The keyboard uses a Bluetooth 3.0 connection, allowing for compatibility with a wide range of smartphones, tablets, desktops, laptops, games consoles and more. When operating in wireless mode, the Convertible 2 is powered by a pair of AA batteries. You can expect about six months of regular use (five hours per day) before the batteries are exhausted, at which point they can be replaced or you can switch to USB power. You’ll be warned of a low battery via an indicator LED. The very long battery life is assured through a power saving mode, which sleeps the keyboard after 30 minutes of inactivity. The Convertible 2 can remember pairings for four devices at once – e.g. your phone, your tablet, your laptop and your desktop PC. You can toggle instantly between pairings by pressing Fn and the numbers 1, 2, 3, 4 or 5 (for USB). There’s a Bluetooth power button on the back of the keyboard, and a status indicator light on the upper right. The keyboard also includes media controls, accessible via Fn and F1 to F8, allowing you to adjust the volume and play, skip or stop songs. Pressing Fn and F12 will sleep your device. When using the keyboard with an iPad or iPhone, you can use the Windows key and different key combinations (A, X, C, V & Z) to perform common tasks like selecting all, cutting, copying, etc. DIP switches on the underside of the keyboard allow some advanced functionality, too. You can lock the windows and application keys (for gaming), exchange the Caps Lock and Control keys (for Linux) and swap the Escape and ~ keys. The fourth DIP setting is more complicated: by default, you can press Fn + Windows to get the application key; the other option is for Fn + Application to produce the Windows key. For most users the default will be preferable, but it’s nice that you get the option. Here’s the USA layout, with replacement keys shown. Click to enlarge! You’ll get replacement keycaps and a key puller for each of these exchangeable keys; e.g. 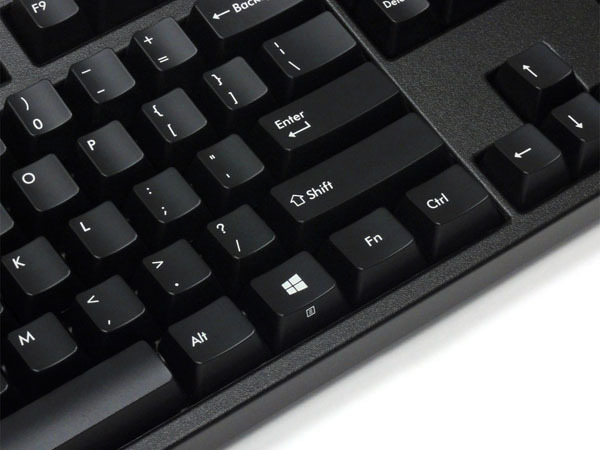 a Control key that fits the Caps Lock space. You’ll also get a USB cable, batteries and user manual in the box. The Convertible 2 is being produced in Japanese 108 key and American (ANSI) 104 key formats, with a range of Cherry MX switches: brown, red, blue and black. Korean and European formats are also planned, although no details have yet been announced. What do you think about the Majestouch Convertible 2? Let us know in the comments below, on Twitter @keyboardco, on Facebook, or via communities like Reddit and GeekHack. We hope you’re excited by the new keyboard, and we’ll update you on its retail availability as soon as this is confirmed. Thanks for reading and have a good week! 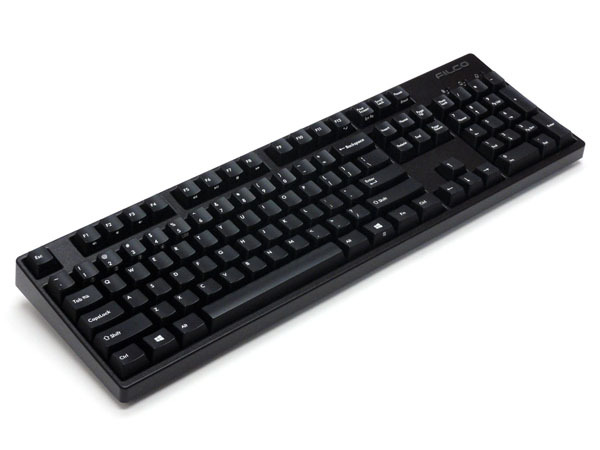 Edit: The Filco Convertible 2 is now in stock right here! Now also available in UK, German and Swedish. It’s absolutely perfect in pretty much every way. I would only love it more if it was tenkeyless form factor. Any chance that we’ll see a UK version? Yes, we’d like to have a UK version but this hasn’t been confirmed yet. If it does come, availability will be some time after the American release. Very interested in one of these in UK layout with red switches. I can not get function of the number keys/ what must I do. Hey – the Filco Convertible 2 hasn’t been released yet. What keyboard do you have? I haven’t heard anything, but it would seem an obvious next step. Have you also planned an UK tenkeyless version? If you visit the KeyboardCo store, just add the Convertible 2 to your cart, select Australia in the dropdown country menu, and you’ll have a choice of three shipping options; some will arrive in a matter of days. This is a fantastic keyboard and it is working great with my surface pro 3 and laptop but will not connect to my desktop. It pairs to the computer but the blue pairing indicator remains blinking and it does not connect. Is this a driver issue or an incompatible bluetooth device? I can’t seem to find a support service for Filco any assistance? Hi matthias. It sounds like your desktop’s Bluetooth might not be working? Please contact Helen (helen@keyboardco.com) with your question and she will support you. Wires have been the nr 1 thing keeping people like me from buying mechanical keyboards. Hi Ben, is it possible to Make it a Nordic layout? Unfortunately we don’t have an ISO (Nordic, UK) version yet. However, your request has been noted! how do i order this keyboard with ninja keys? So, I am the owner of Xarmor U27, which is Cherry MX blue, 2.4 wifi (not bluetooth). It has miniUSB connector to power the keyboard when low on batteries – however, there is no connection to controller. That means, USB dongle is required all the time and cable is used only as alternative to batteries strictly for power. Now, the question – can this Filco be operated completely via wire, without bluetooth dongle? cut an aluminum backing plate to fit this and a wireless bluetooth touchpad side by side using velcro to hold them…all-in-one keyboard/touchpad bluetooth solution in the best way possible! do wish they would make a tenkeyless one while retaining the function keys. 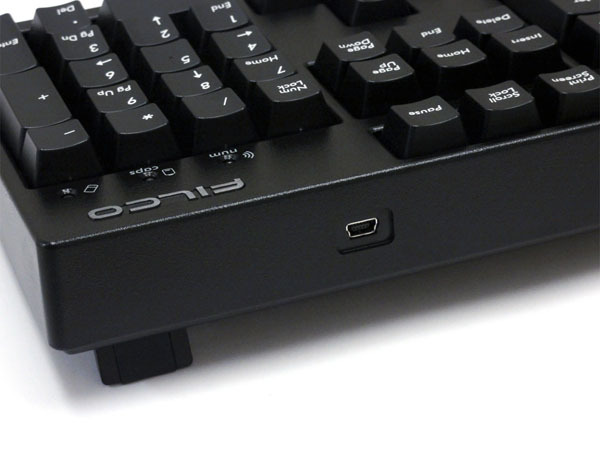 3 Pings/Trackbacks for "Filco Convertible 2 USB / Bluetooth keyboard announced"